Insect-mediated pollination in gymnosperms and potentially prior to the rise of flowering plants is critical for understanding not only the complex biology of these plants today but also the ecology of pre-angiospermous ecosystems and the history of pollination specializations on gymnosperms. A new mid-Cretaceous (99-million-year-old) boganiid beetle with specialized pollen feeding adaptations was reported in Current Biology on August 16, 2018. This discovery suggests an ancient origin for beetle pollination of cycads long before the rise of flowering plants. 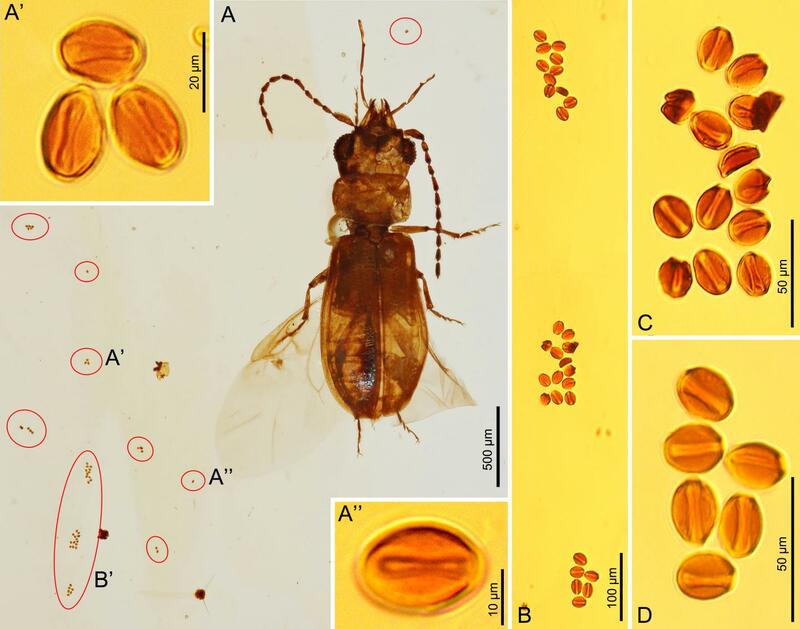 Phylogenetic analyses of the beetle and associated pollen grains conducted by Dr. CAI Chenyang from the Nanjing Institute of Geology and Palaeontology of the Chinese Academy of Sciences (NIGPAS) and his colleagues indicated that it was probably a pollinator of early cycads. Unlike modern wind-pollinated conifers and Ginkgo, cycads are unusual in that they are an ancient group of gymnosperms pollinated by insects, such as beetles and rarely thrips. Little is known about the early evolution of their pollination mode before the rise of angiosperms, or flowering plants, although cycads are well documented from the mid-Mesozoic. Most importantly, morphology-based phylogenetic placement of the species reveals it belongs to a clade of relict genera with a disjunct distribution encompassing southeastern Africa and southwestern Australia. The species are also specialist pollinators of the same clade of modern cycads. Thus, both morphological and phylogenetic evidence support the determination of the fossil as a cycad-associated insect species. The fossil represents the earliest definitive fossil evidence for cycad-insect interactions, and illuminates the ancient history of the establishment of complex entomophily in cycads. It also indicates a probable ancient origin of beetle pollination of cycads at least in the early stage of the Jurassic, some 176 million years ago, long before flowering-plant dominance and the radiation of their pollinators such as bees and butterflies later in the Cretaceous.